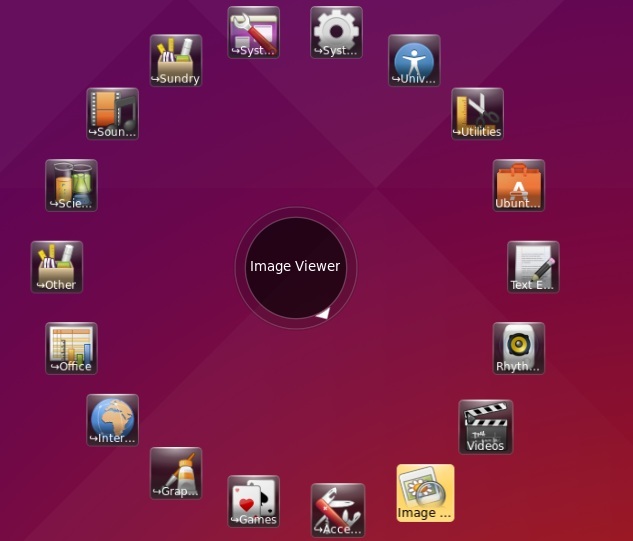 Gnome Pie is an ideal, very attractive and stylish application launcher for Gnome. Being an Ubuntu desktop geek, there are quite few apps that are being used frequently by you, so why those apps shouldn’t be given a cool shortcut which looks super amazing increasing the beauty of the desktop? The answer is Gnome Pie that comes in handy with a very easy way to install. 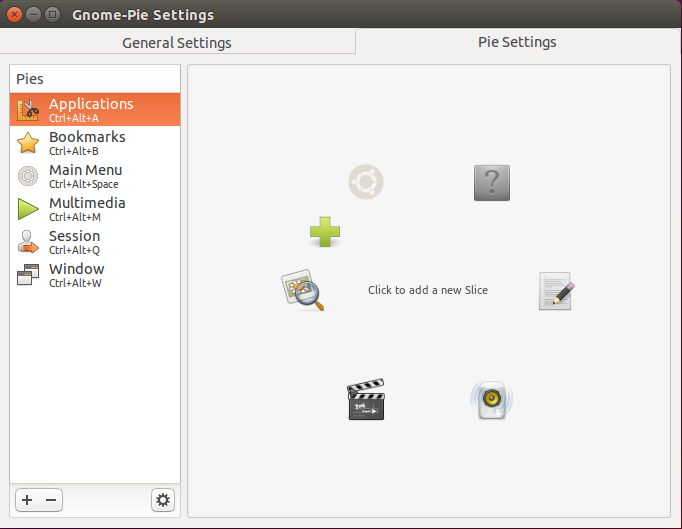 The current version of Gnome Pie available is Gnome Pie 0.6.1 that was just released with some new features & fixing the known bugs. Woot! It is now possible to have half or quarter pies, once opening the pie, choose your favorite shape. Want to eat more slices in a pie, you can have it now. A new theme has been added which can be tweaked and modified. New icon has been designed for the pie. At 100% CPU, Gnome Pie used to get hanged, it’s been fixed now. Drag & drop icons to become invisible has been fixed. A bug that was causing tree view items to have no icons in the settings menu is also fixed now. Changed VM_CLASS which enables launchers to track windows properly. It is possible to save trigger modes even if no binding is defined. 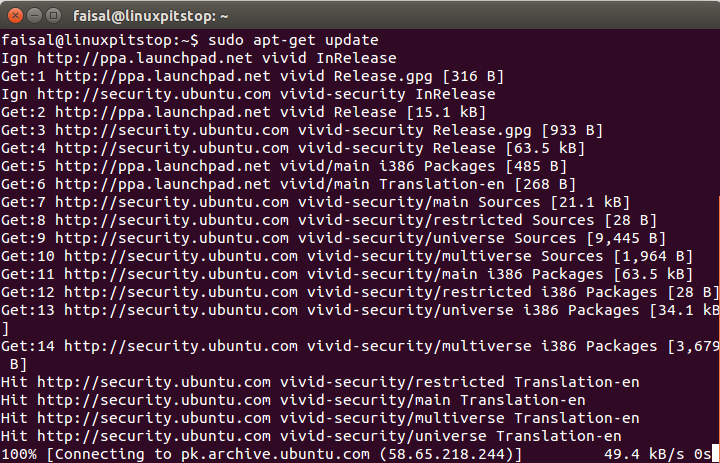 The current installed themes can be tweaked and modified now. Translation update into German & Spanish. 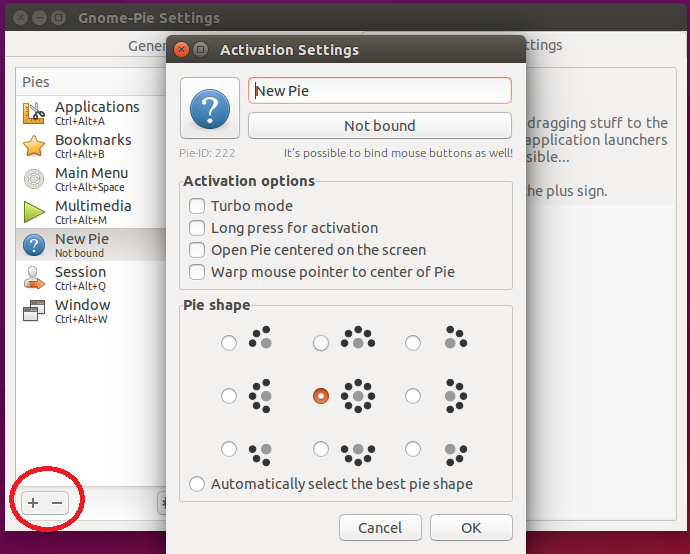 Assuming you have got Gnome installed on your desktop, installing Gnome Pie is very much easy. 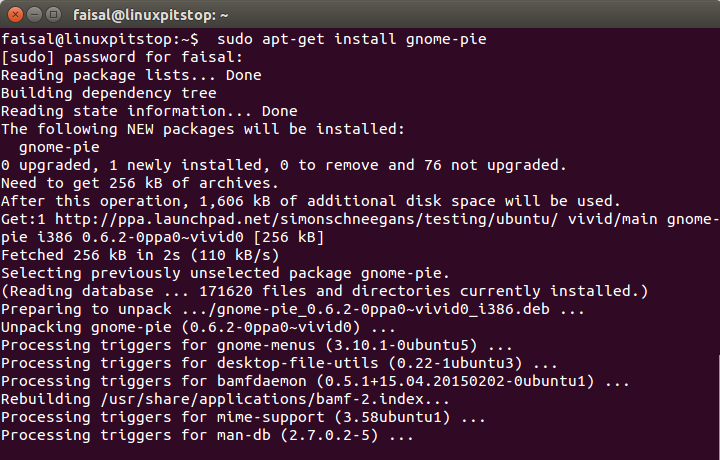 As the official PPA is available, all we need to do is to add it to our local server & updating the local repository afterwards following the installation of Gnome Pie package.